People's World reporter Al Neal was arrested while covering the Stockley verdict protests in St. Louis. He was detained by police despite displaying press credentials. People’s World reporter Al Neal was among 143 people arrested overnight in St. Louis at a protest against the Jason Stockley verdict. Protesters gathered Tuesday evening and marched onto Interstate 64, a highway near downtown. Neal was detained while covering the event as a credentialed journalist. 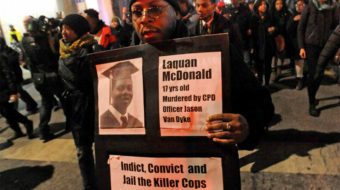 Activists in the city have been protesting since mid-September in a “100 Days for Justice” campaign in response to the acquittal of Stockley, a former police officer, in the 2011 killing of Anthony Lamar Smith, a 24-year-old African-American man. At 10:30 pm local time Tuesday, Neal reported on Twitter that police began arresting everyone present, including members of the press with credentials, like himself. Police used what they call a “kettle” to indiscriminately conduct the mass arrest. 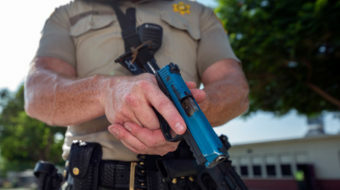 They surrounded the protesters – who were standing on the sidewalk – and ordered them to “back up.” Missouri State Rep. Bruce Franks asked the police where they could back up since they were surrounded and had nowhere to go. Protesters were then told everyone would be arrested. Police ordered everyone to the ground and began to arrest everyone inside their “kettle.” Overnight they released only three people – those who had medical conditions. 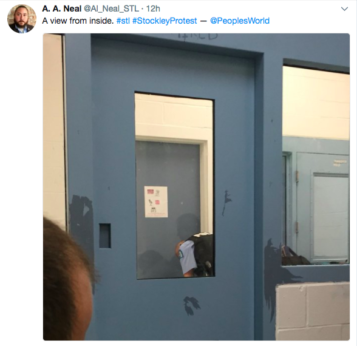 By 1:09 am, Neal was tweeting from inside a holding cell, where he was being detained with other members of the press, legal observers, and at least one elected official. Over 300 people have been arrested in protests since the verdict was first announced, and police have faced heavy criticism for their treatment of demonstrators and the divulging of their personal information. As of press time, People’s World has no further information on Al Neal’s status, any charges being laid, or when he will be released. We will update our readers as information becomes available. 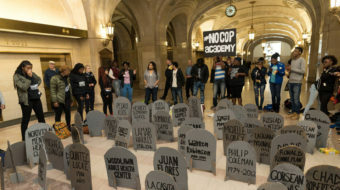 Below, we present previous articles from Al Neal’s coverage of the Stockley verdict protests. 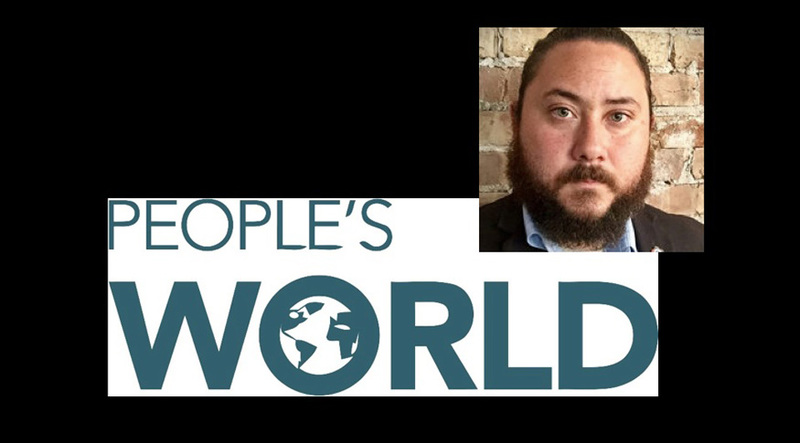 People’s World is a voice for progressive change and socialism in the United States. 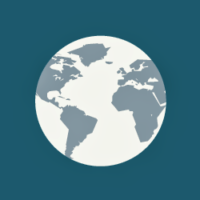 It provides news and analysis of, by, and for the labor and democratic movements to our readers across the country and around the world. People’s World traces its lineage to the Daily Worker newspaper, founded by communists, socialists, union members, and other activists in Chicago in 1924.